Millions of people spend their free time taking pictures and filming amateur videos. With the dawn of cheap electronics, it has become more convenient to take up a hobby like photography or amateur video production. The quality you get with handheld digital photography and video devices is simply amazing. If you're only into the taking pictures and using your digital camera for short video segments, you don't have to invest in a camcorder. That said, if you want high definition and better control, you will do well to invest in purpose built video recording device. The great thing is that you can purchase best camcorder for 500 dollars even in 2013. Every year, manufacturers put out new devices with more features that the average user will likely never put to use. Not all camcorders are made equal. If you are looking into filming action movies, this wearable camcorder with HD features will give you what you want. It is built with adventurers in mind. It is waterproof, a nice 170° wide-angle lens, USB connector for data sharing, HDMI connection for multimedia experience, lightweight and all for just around $399. This is a great videocamera for those who want to film POVs hands-free. It can be mounted on your helmet or anywhere you wish as long as its fastened securely to get that angle no conventional camcorder can do. If you want a camcorder that will give you quality images even in lowlight, this 160 GB Sony product should be on your list. It comes with 30 x Optical / 55 x extended zoom to get even closer to the action which is very powerful for a small hand-held camera. It is designed to facilitate data sharing and multimedia entertainment. It comes with 1920 x 1080 full HD 60p and 8.9 MP for camcorder still pictures. There is also an image stabilizer and automatic and manual focus for easy video recording avoiding low-quality shots. It comes with an adjustable LCD touch-screen. The menu gives you presets that can be used to film in different atmospheric conditions making amateurs seem to be professional videographers. 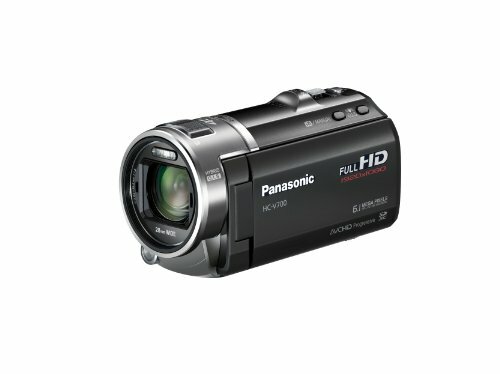 This Panasonic high-definition 3D full HD camcorder with 1920 x 1080p resolution. It comes with a limited 16 GB memory but you can extend that by inserting additional flash SD card for more media storgae. It comes with a nice adjustable LCD touch-screen display, built-in microphone, USB connector for the data sharing, manual focus and 46x optical zoom. For those who want seamless quality image, this camcorder will allow you to record at 90 frames per second. 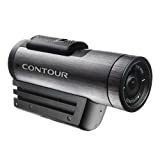 Compared to most conventional camcorders, this camcorder's 28mm lens allows you to capture more background which also means you get to include more people on the frame. The optical image stabilizer is perfect for the shaky hands, so you don't have to worry taking blurred photos or dizzy videos. For just around $500, you can be sure you can capture HD moments for the money. 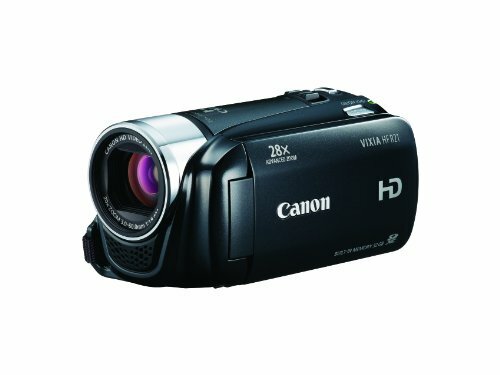 This Canon camcorder is not the latest out of the factory, but, if you're looking for a decent camcorder under $500, it is worth considering. You get full high-definition, 30 progressive frames, recorded to 60i, 3.28 MP HD CMOS image sensor, image stabilizer, automatic focus, manual focus, unlimited 28 x advanced zoom, 32 GB internal flash memory for media storage and 2 SDXC eternal card slots for extra space. Most buyers of this product have been pleasantly surprised by the quality and ease of use. The most important thing is getting value for your money and at around $449, you can't go wrong with this option. One of the dominant manufacturers of top rated camcorders is Sony. The Handycam has been their trademark and been their trademark name where it started several decades ago. But today's latest Handycams have evolved to be more advanced since their predecessors. 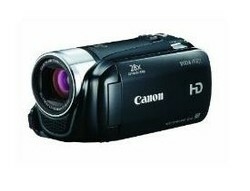 Sony HDR-CX210 HD Handycam is definitely one of the best on its category. For just around $400, you'll get a plethora of features. Some of them are, 25X optical and 30X extended zoom, a touch screen LCD display, full HD recording in 1980 x 1080p recording, nice low-light video recording, and a lot more. Features a built-in USB cable to conveniently transfer files or charge the battery on the go. Built-in speakers allow you to preview even the audio part of video shots. 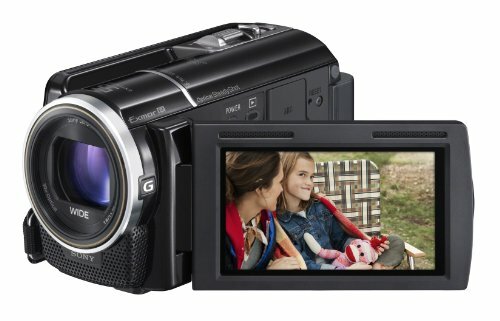 Another from Samsung's affordable camcorders that have the best features is the S10 HD Camcorder. For just around $400, you can achieve full 1920 x 1080/60i HD video recording and a big 3.5" LCD touch screen display for an on-the-spot preview. It delivers a clearer, sharper, focused videos and images under this price bracket. This camcorder can capture pictures at an amazing 10 MP, not bad for a camcorder. It is definitely an advantage for the shaky hand, since the smart optical image sensor will handle that for you. Aside from the provided charging adapter, this can also be charged conveniently on a USB port while you work on transferring media files to a computer. It is amazing the high quality electronics you can buy less than a 500 dollar price limit or budget. These are some great options, though there are many more on Amazon. Enjoy choosing your new camcorder today.